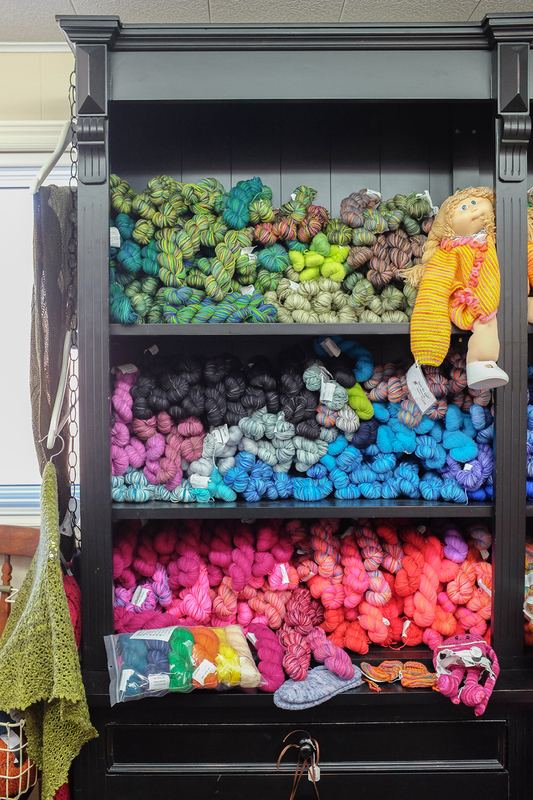 Last Saturday, Rayna (my partner in fiber-related crime) invited me on a road trip to Waterloo to visit a yarn store I had never been to, ‘Shall We Knit?’. Much damage to my credit cards ensued because, wow, what a gorgeous store. Good thing I’m shameless when it comes to yarn. 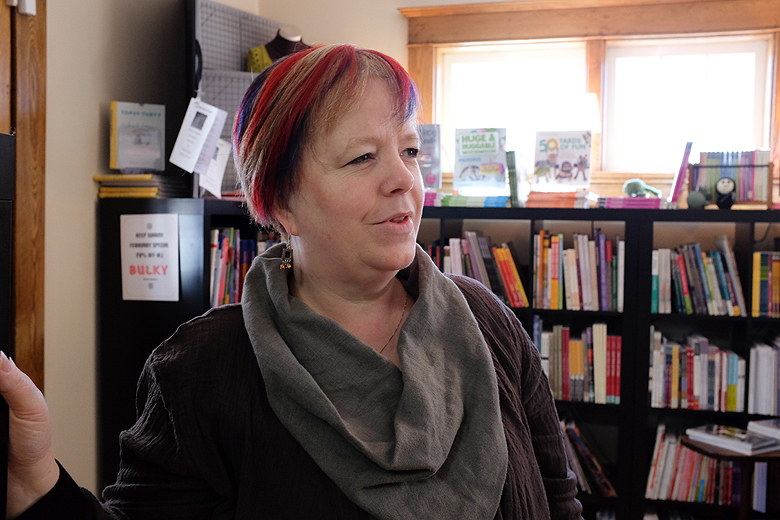 We met with the lovely Karen, isn’t her hair the best? You know this is a woman who possesses a great love of colour. She’s the owner of the store, friendly, helpful and extremely knowledgable about her product. And the store reflects it. 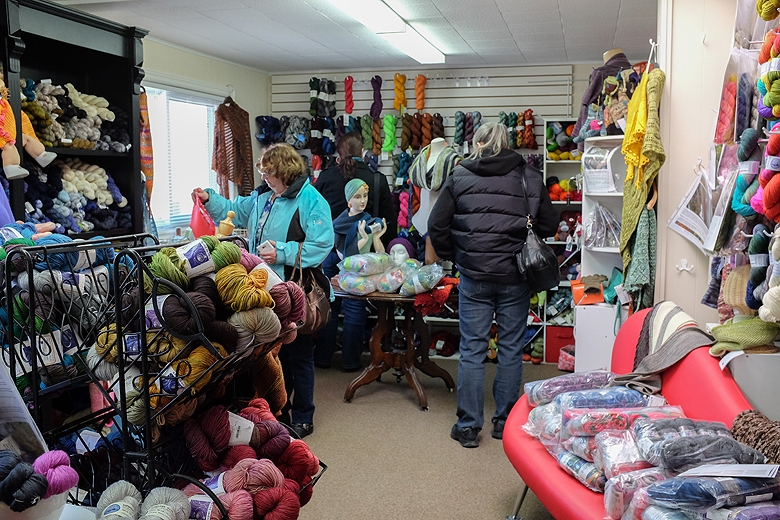 Larger than it looks from the outside, it has entire rooms dedicated to spinning fiber, bulky, dk weight, books, (yes, sales) and a sock yarn room that will, well, knock your socks off. 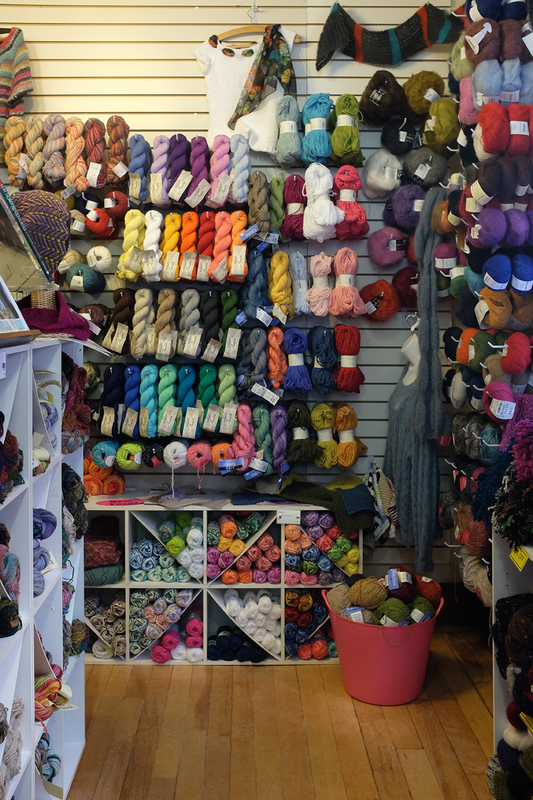 Shall We Knit? boasts a few brands I had never heard of – and I was immediately taken in by an Australian company called ‘Skein’. 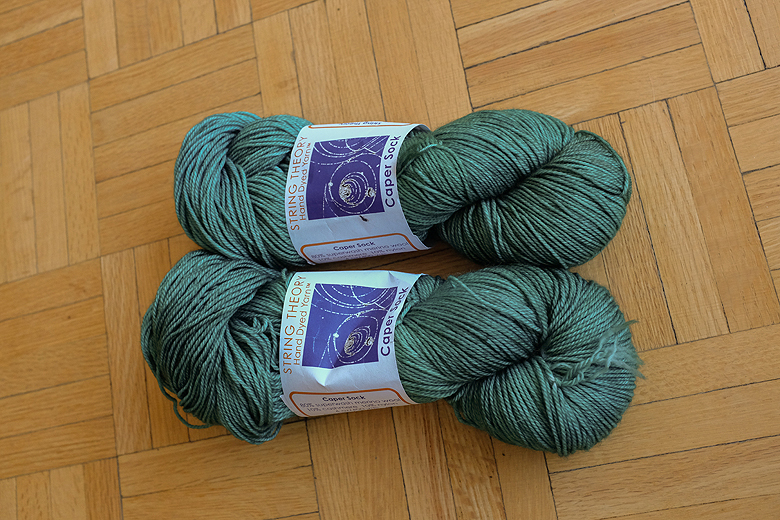 These are destined for a 2-skein shawl. I’m hunting for just the right pattern now, oh, the pressure! I shopped predictably, buying blues and greens and fulfilling Tito’s regular expectations of ‘wow, that looks just like all your other s**t’. 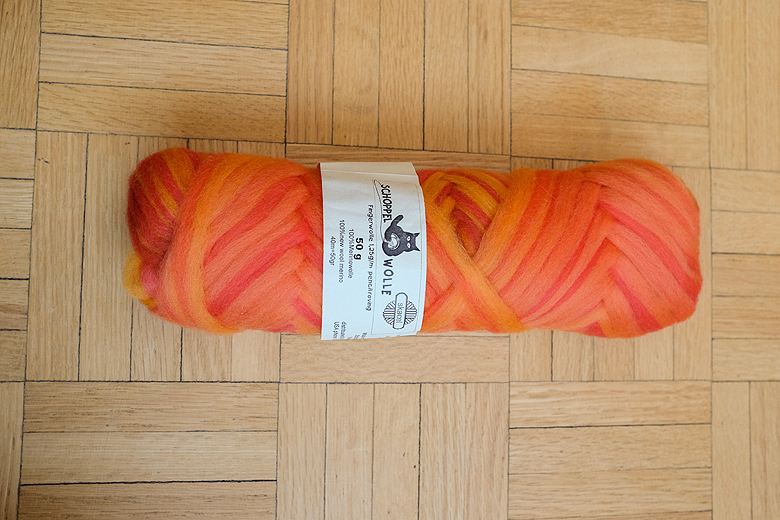 To break it up I bought a bright orange bag of something called pencil roving. It’s pre-drafted, which I suppose sounds pretty lame, but it might be just the thing to get me spinning again. Pencil roving was also a new discovery for me, I’ve never found it anywhere else. 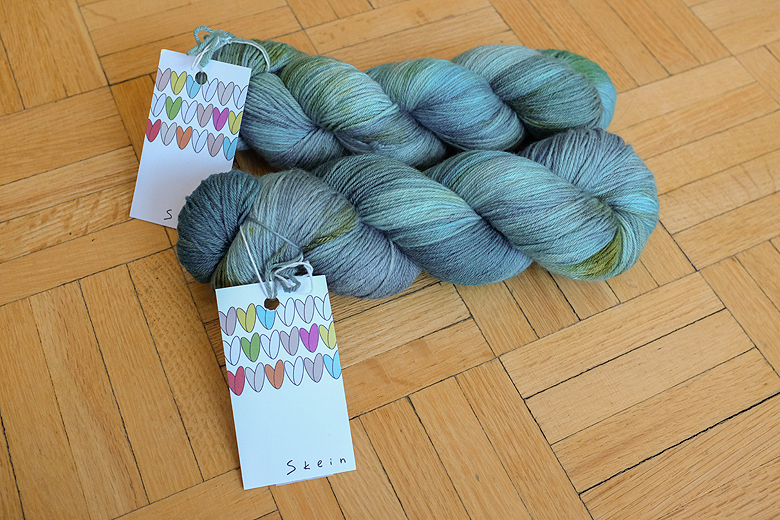 I also picked up 2 skeins of String Theory Caper Sock, they are well-matched, have beautiful drape and stitch definition, and are destined for my new adventure, the Taliesin. 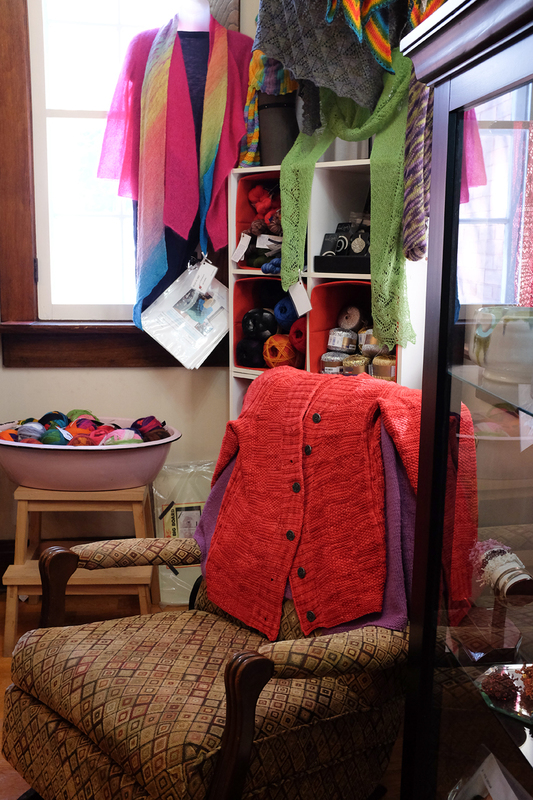 I would definitely do the trip again – the drive was enjoyable, the day was sunny and Shall We Knit is a blast! Fiber road trips might just become a thing… if we can afford it! Great review … and excellent acquisitions! Have you tried The Yarns of Rhichard Devrieze? They are available at The Purple Purl. 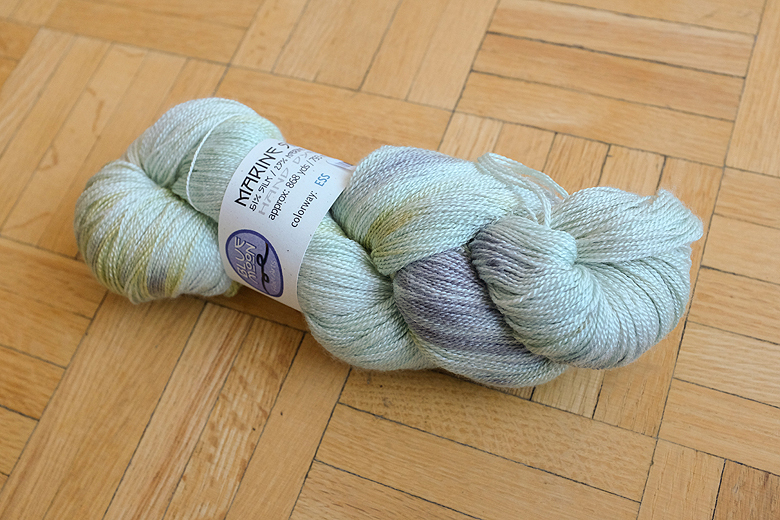 Rhichard’s yarns are gorgeous, (even if they aren’t alpaca). Rhichard and I get together once a week to knit/crochet/laugh and have coffee.